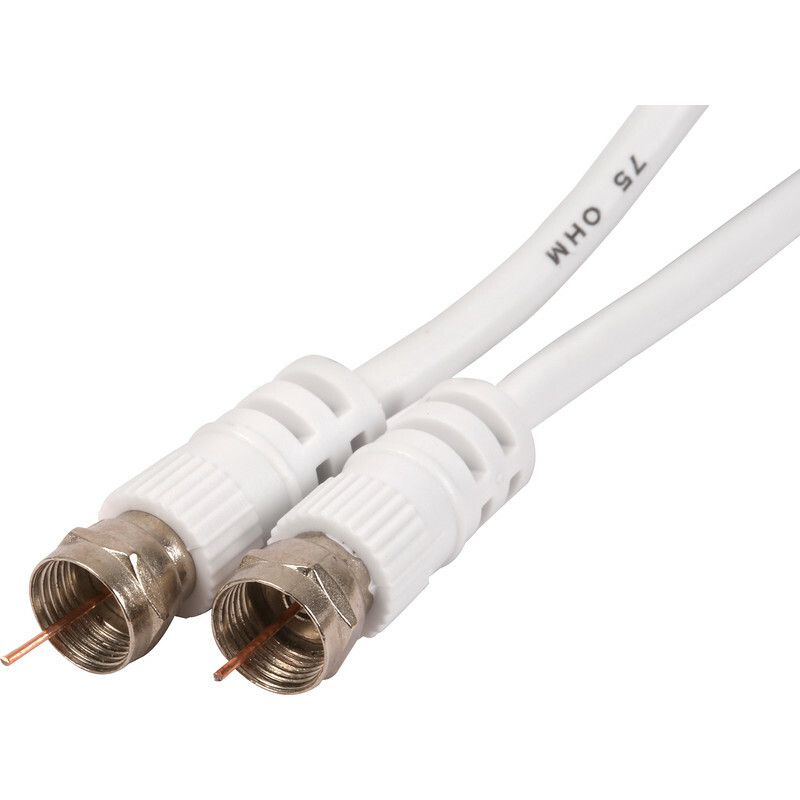 Digital Fly Leads 2m F Plug to F Plug is rated 4.0 out of 5 by 13. Rated 5 out of 5 by Ninja38 from Does what it says Bought this as needed a shorter cable and works brilliant. Rated 5 out of 5 by GriffMG from It's a lead, saves you doing the terminations... Broke mine - pinched it near the F Plug end. This was easier and cheaper than repalcing the plug! Rated 5 out of 5 by HiQual from Great quality. Quality and value for money. Rated 1 out of 5 by HiQual from No signal Completely destroyed my TV signal. Maybe it's for VHF only. Returning for refund. Rated 1 out of 5 by IPW007 from Very very poor I bought two of these leads. One provided a very weak signal allowing only 8 free view channels to be tuned . The other provided no signal at all between the TV and Ariel. Not fit for purpose. Rated 1 out of 5 by JayF from Really poor quality - Beware Bought two of these I connected a JVC smart TV with one and the screen after 15 minutes of use went funny with vertical lines so I pulled the ariel out and the gold end just fell out, however the telly seems to have recovered after powering down overnight but I'm not convinced it hasn't caused permanent damage as on a dark screen you can see it blinking, it did not do this prior to using this product. Rated 5 out of 5 by Fighter from Gold Contacts Lead Coax Plug to Plug 2m White Quality item and a good standby for those unexpected jobs. Rated 5 out of 5 by Fighter from Coaxal lead. A quality item, what more can I say?